When I wrote my Q4 list, I was in a pitiful state with nothing much in the works. I stretched to come up with 3 projects, and with that short list am happy to report success at finishing all 3. The Julia Cardigan that I started on a sew day with daughter dear got finished, though it didn't fit me, due to my own lack of attention to the sizing. But it did fit Rachel, so all is well and good. Next up was a quilt made with bee blocks from the Always Bee Learning Bee. 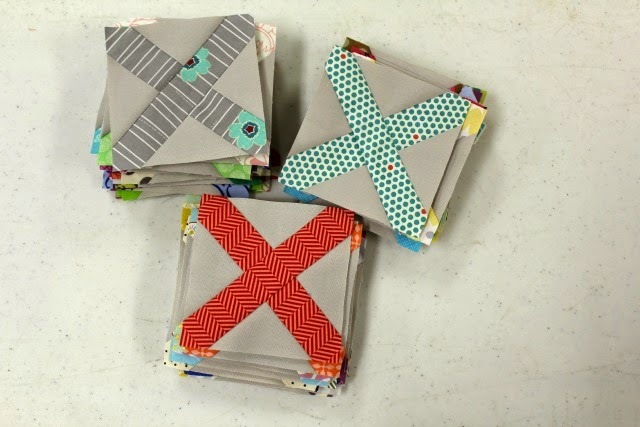 I had 50+ half rectangle triangle blocks as well as fabric to make a few more. 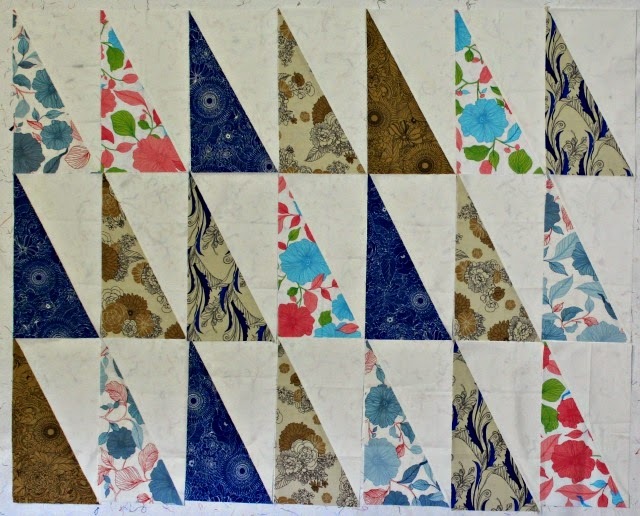 A quilt with this layout was the plan. As I explained in my recent post, the plan changed, much to my delight. Honestly I hadn't much passion for this project when I pulled the blocks out of my stash last week, but all that's changed. I'm really pleased at the exploration that happened, the layout I settled on, and the quilt in general. Last was my happiest finish of all. I started with a stack of Cross Stitch blocks in hand and a vague notion of what they might become. Become they did, and in the process grew into a tribute to my grandma who taught me to sew oh so long ago. So yay for finishes. I took the time to look back over the entire year of the Finish-A-Long and discovered I completed 14 projects of 16 on my lists on time (Q1: 5/5; Q2: 3/4; Q3: 3/4; Q4: 3/3). The best news there is that one unfinished project got finished between lists; the second is the cross-stitch quilt above that got added to a new quarter. SO 15 projects total. 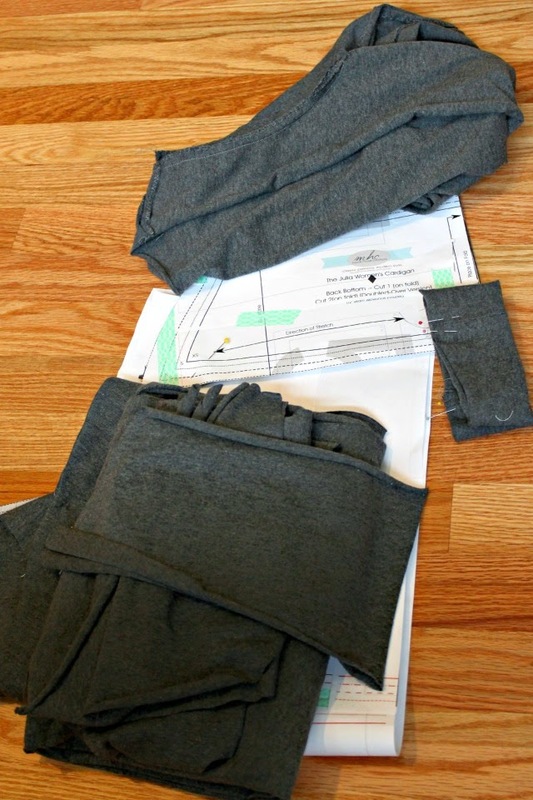 Now to decide what to sew next! Your finishes are beautiful, I especially love the cross stitch quilt. And you are so good at finishing generally! Congrats on the finishes and impressive stats. I'm glad the cardigan found a fit, lucky girl. It's especially gratifying to have a project turn from uninspired to something pleasing after taking a new approach. I love the cross stitch quilt. The colors and layout are great. Wow, that's pretty darned impressive, congrats! Great finishes, all. I am with Leanne in especially loving the cross stitch quilt. 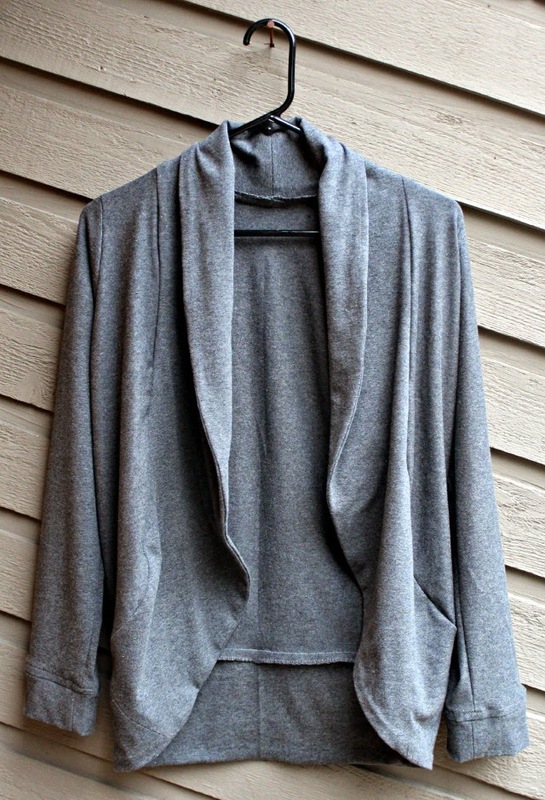 I love the cardigan too...I may need to add that to my "one day" list. Nice stats! I toyed with figuring out my own finishing rate then got lazy. The FAL is such a great incentive/encouragement. I'm so grateful for it! Beautiful finishes Debbie! 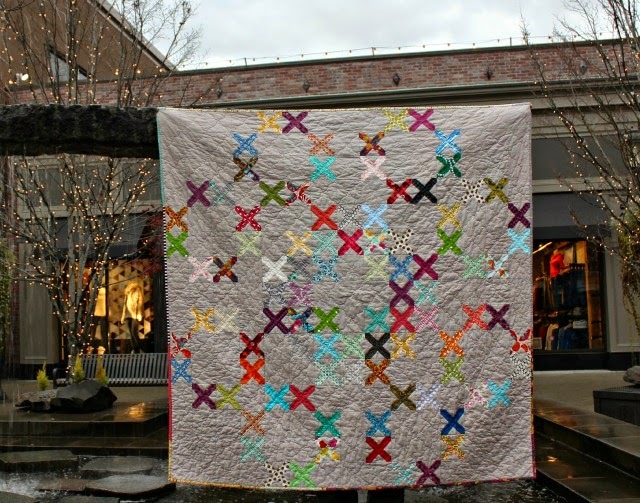 I really love the Cross stitch quilt and Ziggity Zag is very cool too! I think that all your finishes are gorgeous! The cross stitch quilt is. The. Best. Way to go! I didn't finish any of mine! I do love the cross stitch one! A friend asked me to do a quilt last night and I'm thinking about a crosstitch quilt... So I was looking at her tutorials and noticed a hastag! You should tag your IG pictures with #crossstitchblockalong! 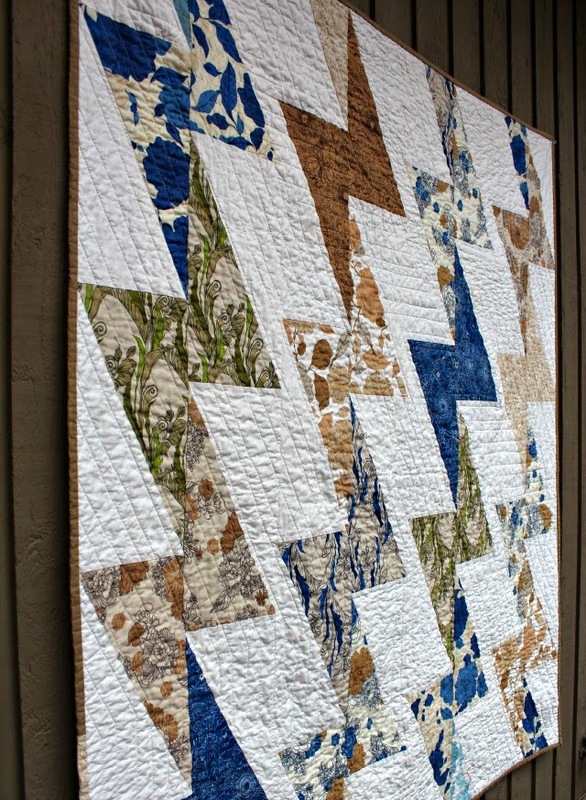 While I love love your crosshatch quilt (exquisite!) and that bee quilt of triangles really catch my eye, I give you the award for courage for garment sewing. I used to sew a lot of garments for my 30-something self, but I find I need lots of courage for this Mid-Century Modern self, and things just don't fit as easily. So hats off to you for your finishes! !